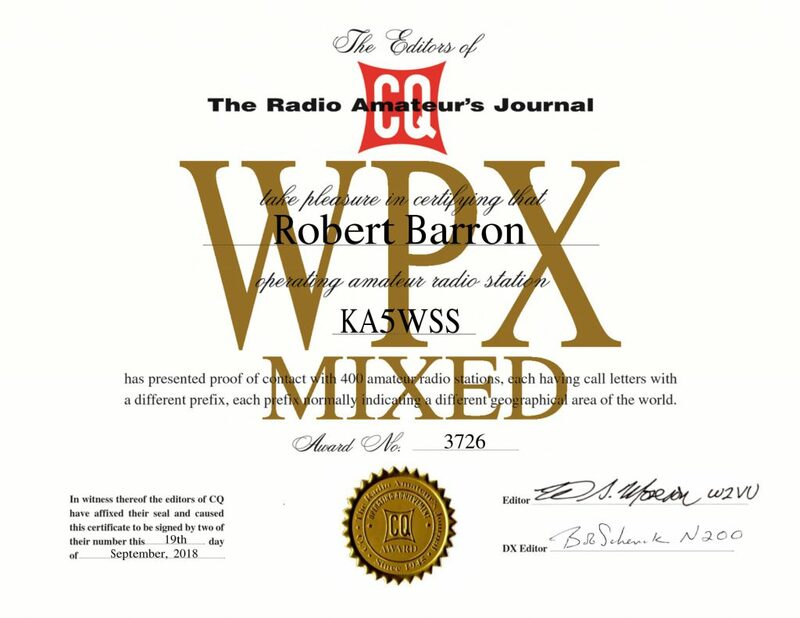 CQ Magazine issues the WPX award for Amateur Radio operators who confirm contacts with a given number of unique callsign prefixes (KA5, GM0, 6Y5, etc.). The basic award is available for those who can confirm contacts with stations featuring 300 unique prefixes (400 for the Mixed certificate). Endorsements are available for each additional 50 new prefixes. 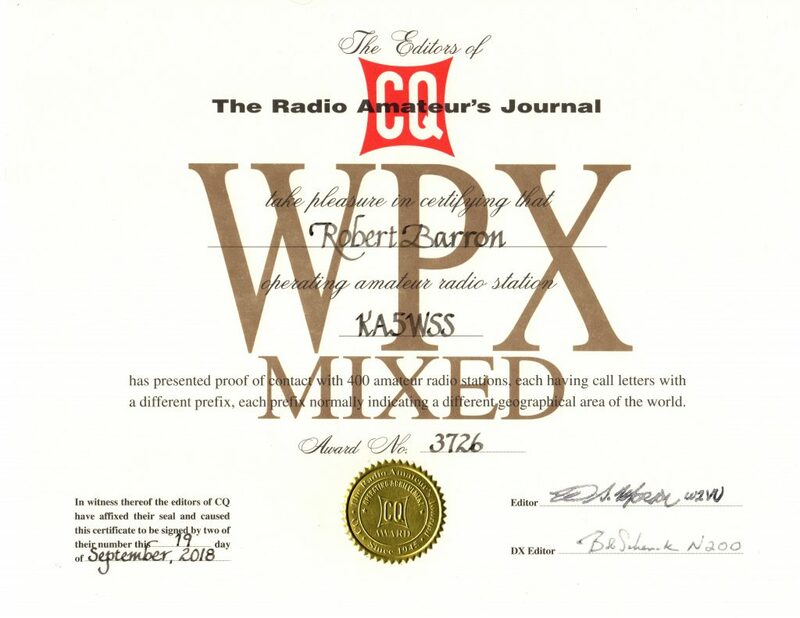 There are a four flavors of the basic award (Mixed, CW, SSB and Digital). Adding to the mixture are additional endorsements for single bands and continents. This is a complicated, multifaceted awards program. 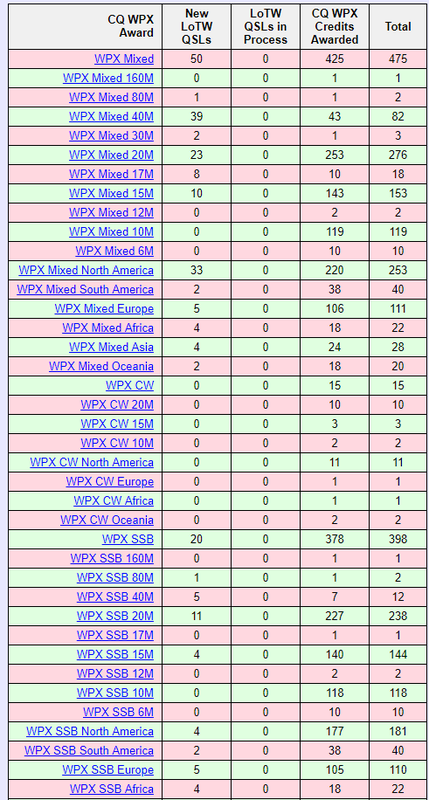 I have to admit that WPX may be an award I might not have bothered to apply for had it not been offered through the ARRL’s Logbook of the World. The prospect of gathering and sorting hundreds of QSL cards by prefix seems like a daunting task. Being able to check on the LoTW website to check whether you qualify for the initial certification and just pressing a couple of buttons is a real game changer. So many options, and this is an incomplete list! Can you imagine trying to gather up all of the QSL cards for all of these options? After applying for the award CQ emails a digital version in quick order (see above). Once the calligrapher finishes their handy work they mail a paper version (see below). The size of the award is a standard US 8.5 x 11 inch format, making for easy framing. As of 2019, the fee for the award is $6.00 for CQ Magazine subscribers and $12.00 for non-subscribers. Endorsement stickers can be obtained for $1.00. IRCs may be used at an assumed value of $0.50 per IRC (i.e. 2 IRCs for an endorsement sticker). Additional fees may apply when using Logbook of the World for applications.